If you’re lucky enough to have a fully effective Candidate Relationship Manager (CRM), you’re ahead of the game. Many sourcers have been bogged down when it comes to a clunky CRM that hasn’t been updated in the past five years, and some of them look for ways to un-clunk their life. With tight or nonexistent budgets to purchase an entirely new solution, sourcers are looking for alternatives that would give them the ability to build their own and bridge the gaps. 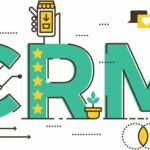 While that sounds daunting, there are simple, practical solutions to developing a CRM that works for you.